Jerusalem Mufti says situation has returned to how it was and that it is now permissible for Muslims to ascend Temple Mount. The Mufti of Jerusalem announced this morning, Thursday, that the situation on the Temple Mount has returned to how it was before the placement of the metal detectors, and that it is now permissible for Muslims to pray on the Temple Mount. The words come after police last night removed newly-installed railings and scaffolding on which cameras were previously mounted. 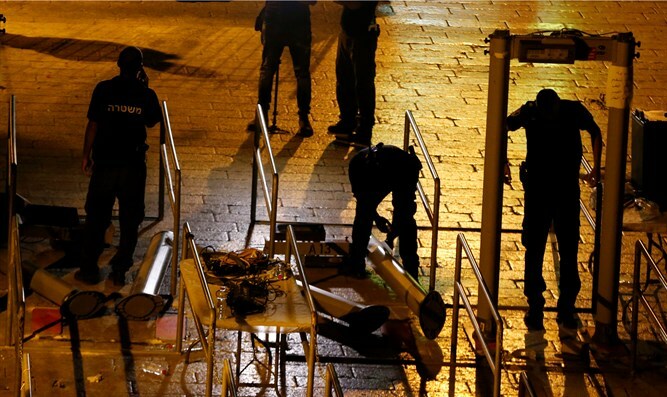 The dismantling of these final security measures installed after the July 14 terror attack in which two Israeli policemen were murdered was executed according to the demand of the Waqf, the Jordanian trust which manages Muslim sites on the Temple Mount.